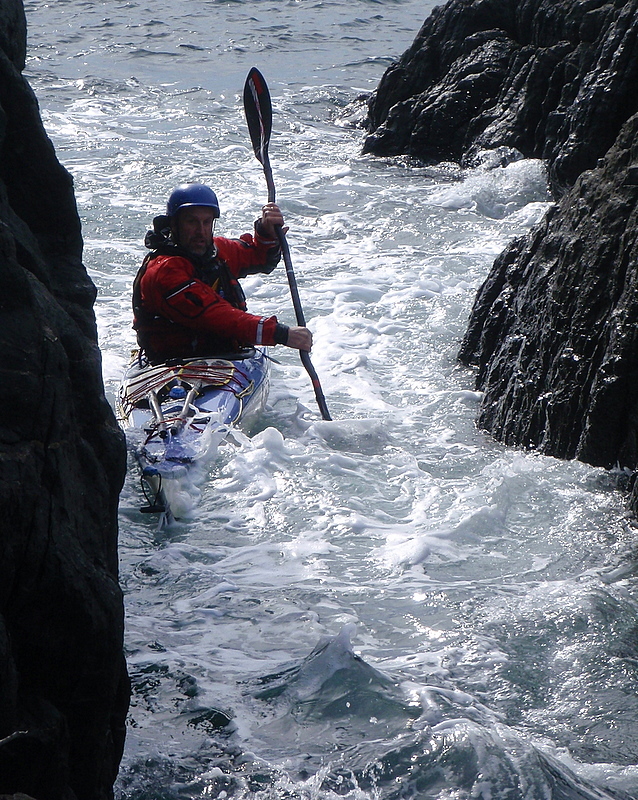 Challenge your yourself and learn the skills to confidently paddle in and around rocks. 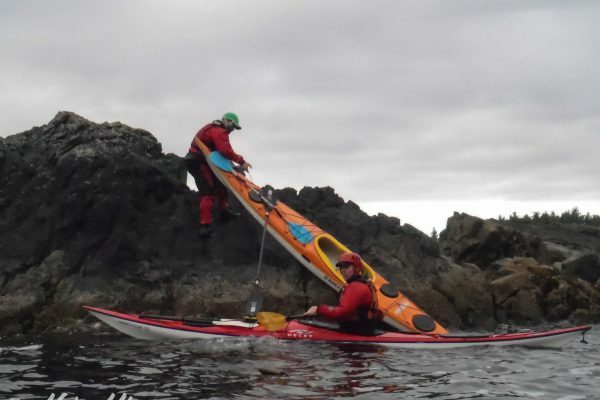 Rock gardening is the sea kayaking equivalent of whitewater paddling. 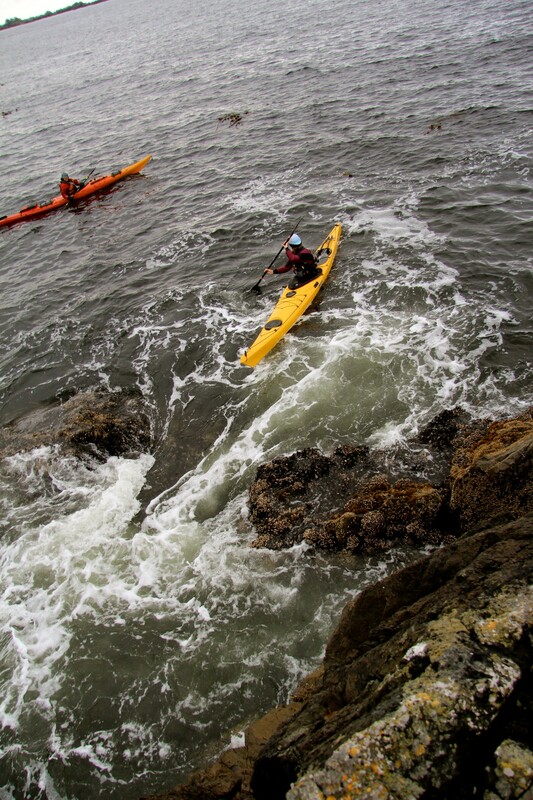 We actively seek to play where waves and rocks meet. 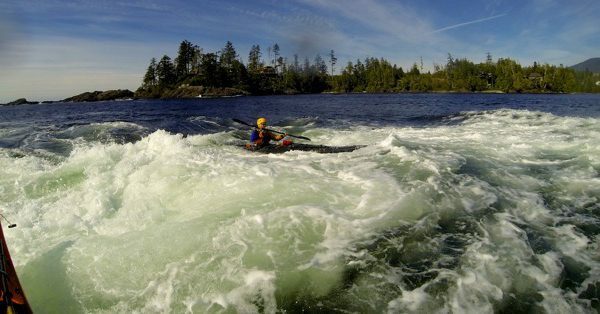 Its a great place to refine your technical paddling skills, sharpen your tactical decision making, focus your mental concentration and awareness, and challenge your physical limits. 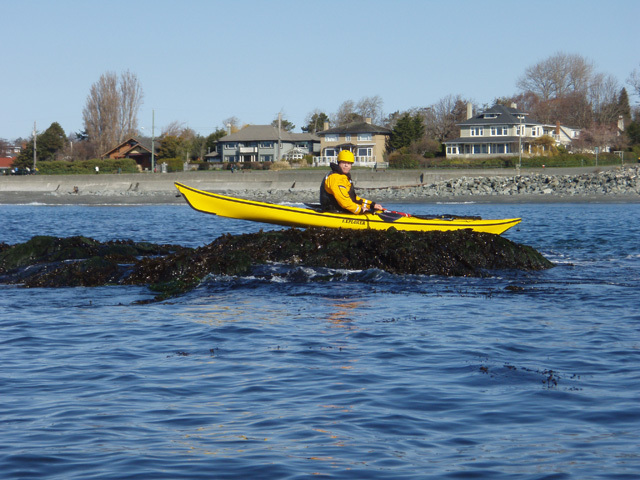 BC has some of the best rock gardening in North America. 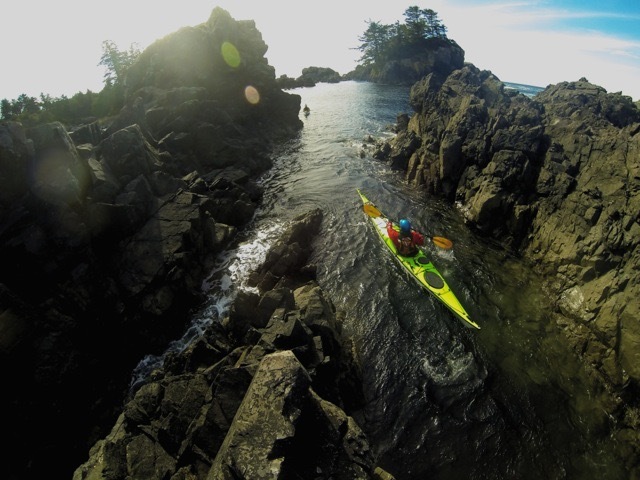 Our jagged, convoluted, eroded coast is full of reefs, headlands, and isolated rocks. 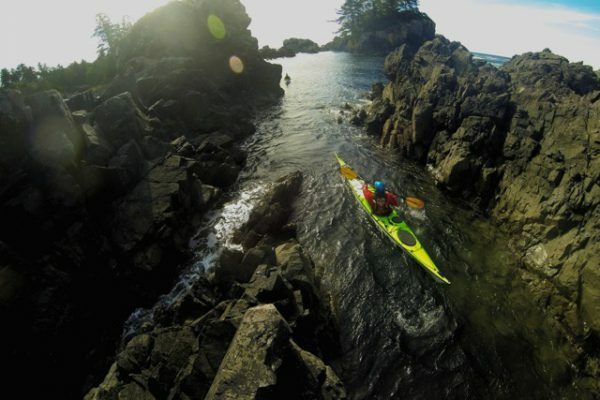 “Graveyard of the Pacific” this coast may be, but its a sea kayakers playground as well. 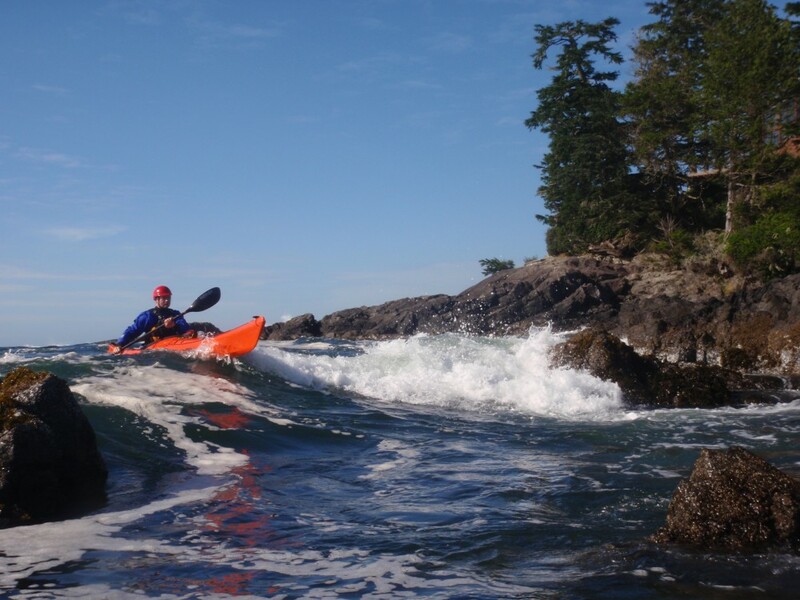 1 day taster in the Victoria area. This course is a great orientation to rock gardening. 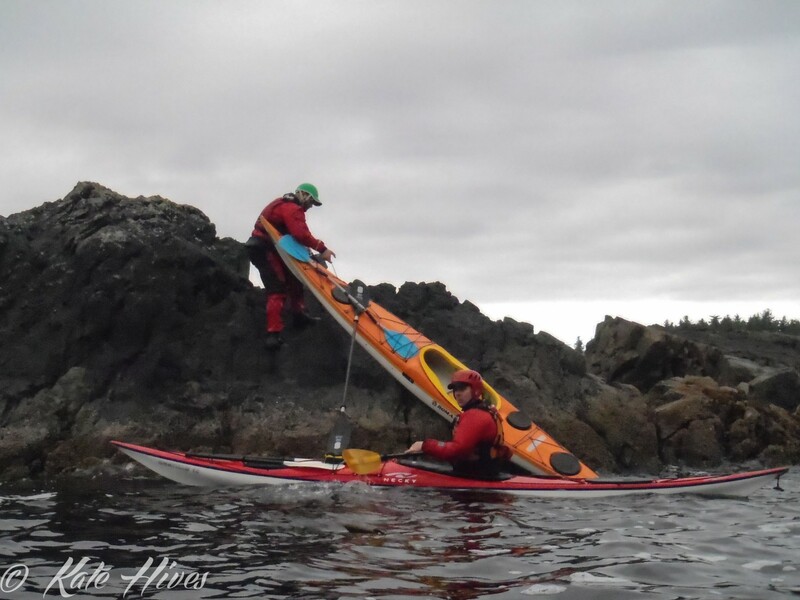 2 day intensive in the Ucluelet area. 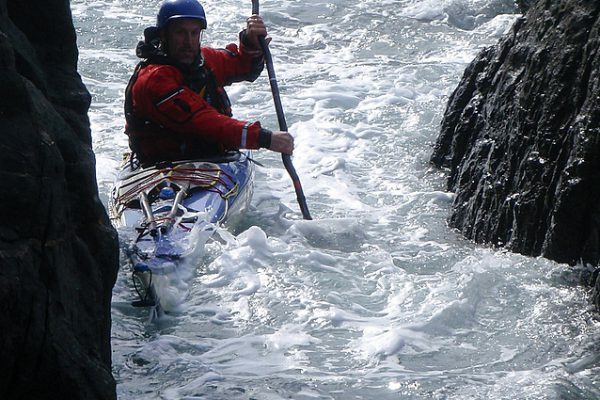 This is a crash course for those looking to develop their rough water paddling skills. 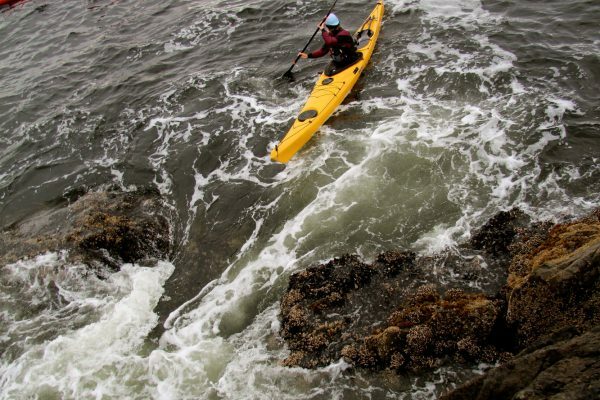 We’ll rock garden and surf in this course. 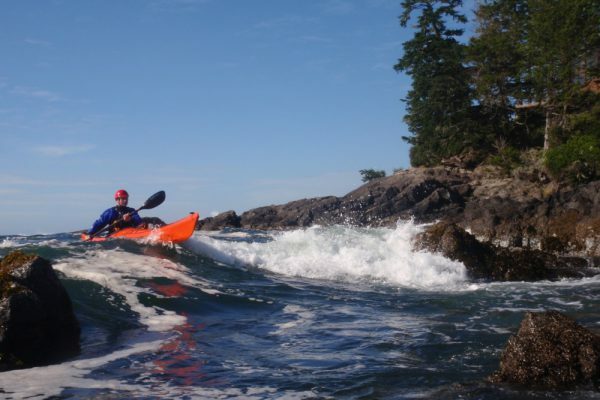 4 day luxury get away to Spring Island in Kyuquot Sound. 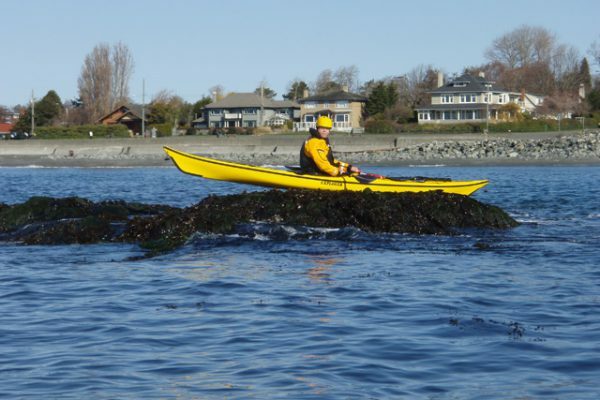 Spring Island is a rock gardener’s paradise. Paired with the comfort of the Spring Island Camp (beds, hot showers, catering), this course is a real treat for those looking to rock garden in style! 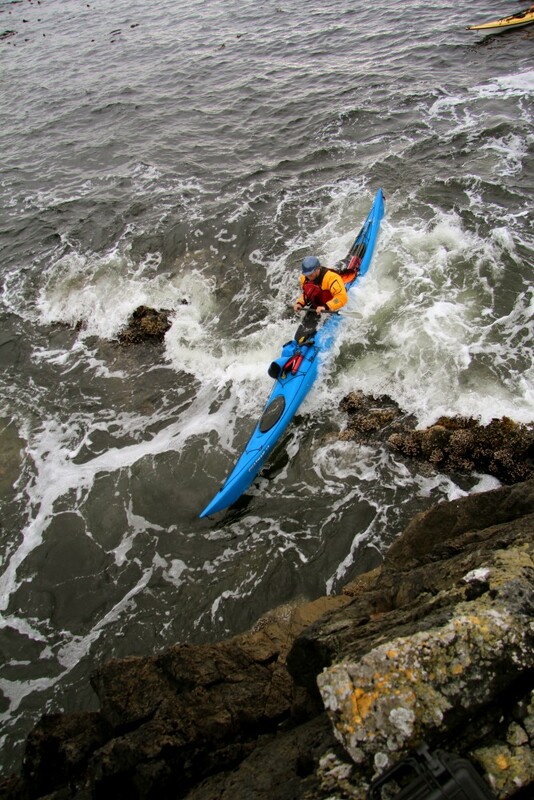 Previous paddling experience in currents and surfing. 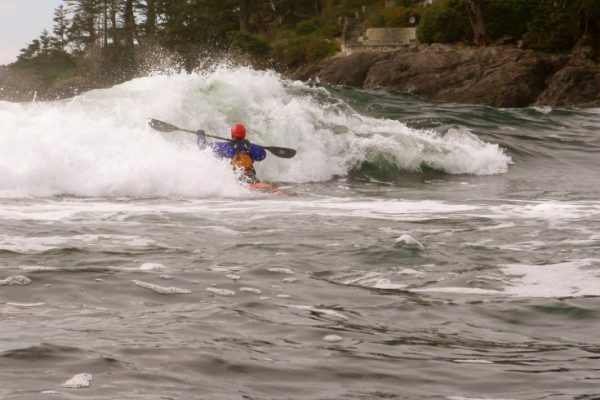 This course is not for every paddler. 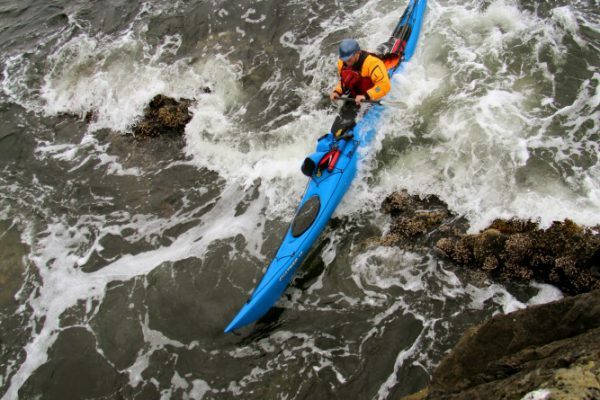 Conditions are variable and as a consequence, the level of risk is also variable. 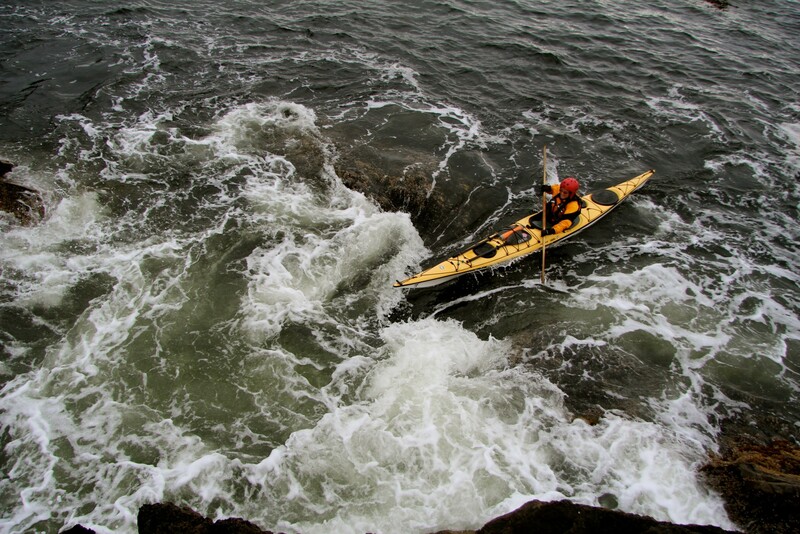 We take reasonable precautions to provide a fun and rewarding learning environment, but paddling in and around rocks and swell is inherently risky. Your boat will get scratched, or worse. You will scrape your paddle on the rocks, or even break it.